This week marks the 25th anniversary of the release of the Harrison Ford-Tommy Lee Jones 1993 classic The Fugitive, and the retrospectives have been flowing in, from The Atlantic to SceenCrush. “The Fugitive acts as a placeholder for a time when adults could be entertained by action heroes without being condescended to,” says Soraya Roberts. “The Fugitive is the best summer blockbuster of the 1990s,” defiantly argues Matt Singer. That scene and others like it left a lasting legacy. In the short-term, “It was the one-armed man!” became a bit of a punchline throughout the 90s, as seen in The Mask just a year after The Fugitive’s release. A good, but not great spin-off (1998’s U.S. Marshalls) eventually arrived. Several years after that, Tim Daly starred in a criminally ignored TV series remake indebted to both the original Fugitive 1960s TV series and the movie. In the longer-term, many of today’s old-man action movies like The Equalizer or whatever Liam Neeson’s latest is at any given moment can be thought of as lesser descendants of The Fugitive (well, The Fugitive and Death Wish). There is a forgotten part of The Fugitive’s legacy, however, and it is this: it saved the Chinese film industry. That’s right – the film currently being lamented as an artifact of a sadly bygone era when studios still made actual movies, not mere products, had a small hand in building up the economic monolith that now looms over all of Hollywood. For the first time in 40-plus years, a recently produced American movie, Warner Bros.’ “The Fugitive,” is being shown in Chinese theaters in general release. Except for a minor glitch here in the capital city, where the film became ensnared in a political rivalry and was pulled after only one week’s release, “The Fugitive” is a runaway hit. Until now, the foreign movie fare here has consisted of decades-old American films such as “Spartacus” and “Love Story,” limited releases of U.S. films as well as extremely popular Hong Kong comedies and martial arts action movies. American movie executives see this breakthrough as an important opening to the world’s biggest potential entertainment market: China’s population of 1.2 billion. The opportunity came earlier this year when the Ministry of Radio, Film and Television revised its longstanding limitations on foreign imports and agreed to allow “the 10 best foreign movies” into China each year. 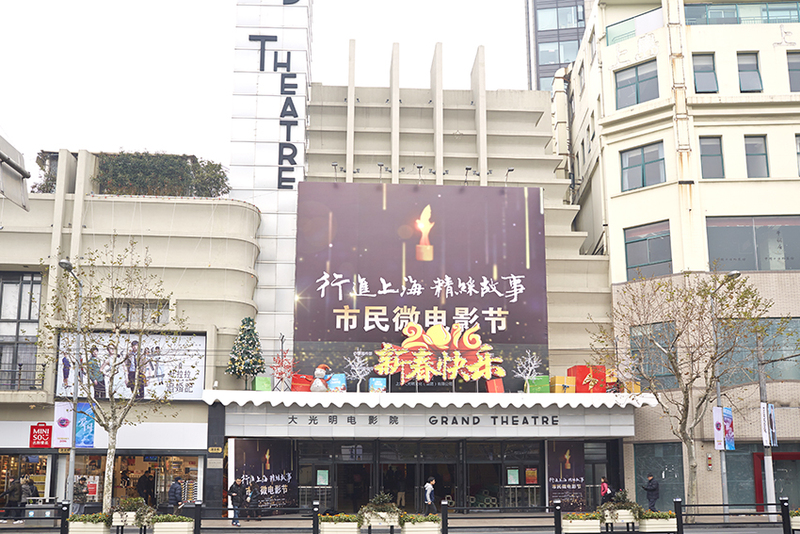 A recent picture of the Da Guangming Cinema, which was first built in 1928. Not everyone was so enthused. A fight over the local film distribution rights turned contentious and resulted in the loser griping about “using socialist money to fatten the capitalist pig.” The propaganda ministry then yanked The Fugitive from theaters midway through its two-week run. The explosion of the Chinese film industry still wouldn’t begin in earnest for another decade or more, but when the theaters needed it the most Harrison Ford and Tommy Lee Jones were there to delight with their thrilling journey through the muck. You need to go to china Kk. Critique some films there too. The fugitive was a great film for its time but more so for tommy lee jones who bagged and oscar for it and less so for Ford being in it olaying his usual moody and desperate persona. Hence the limp sequel with wesley snipes and robert downey jnr. I recall barry norman reviewing the film at the time and saying his only critism was that The roles should have been swapped with Ford as the marshall and Jones on the run. This being because we all know Ford vould never do what he was accused of whereas Jones is quite capable. Next Entry Eighth Grade Deserves to Be Seen By Actual Eighth Graders, Not Just Fawned Over By Film Nerds Like Me. A24’s Fixing That.